The PADI Scuba Diver Course is a great choice for those with limited time in Phuket or lack confidence in water. You’ll only need two days to complete this great little course and there is no swim test involved. Although we do highly recommend that you’re a confident swimmer before taking up any diving activity. The course will go over all the basic safety and problem solving skills that you require to enjoy our incredible underwater world. Our professional PADI instructors will closely supervise every aspect in a safe, controlled environment and make sure you have great fun along the way. A PADI Scuba Diver course has some basic pre-requisites listed below but essentially anyone of almost any age or experience can sign up for the Scuba Diver course and learn how to dive safely. Don’t trust your first Scuba Diving experience to anyone else. 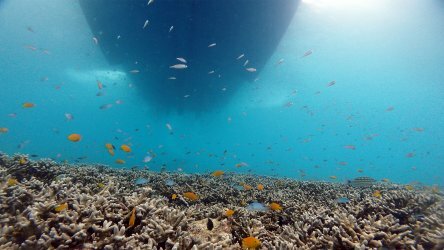 Book now with Local Dive Thailand and begin a life changing journey of discovery so you can see the majestic and downright weird animals that make it their home. A 2 day PADI Scuba Diver course won’t take a chunk of time out of your holiday. The first day will take around 6 hours split between the classroom and the pool. On the second day you will head out to the clear blue waters of Racha Noi/Yai to practice your skills and therefore get a taste of this new world that’s being opened up to you. The third dive will be just for fun and a chance to explore under the guidance of your PADI instructor. Once you have completed the PADI Scuba Diver course you will be certified to dive to 12m with a PADI professional. This means no more Discover Scuba Dives as you are now a certified scuba diver and can typically dive at lower costs than your non certified travel companions. You also get a PADI Scuba Diver license delivered to your mailing address which you can carry with you on your travels so dive shops and instructors can instantly recognize your level of training. You’ll also be kept on the PADI diver database so even if you lose your card there will always be a way to prove that you are a certified diver to anyone that needs it. 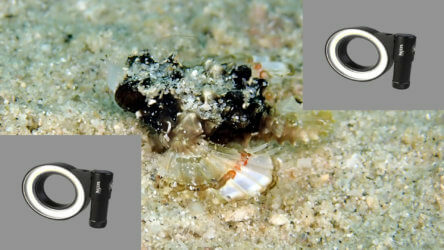 If you are diving with Local Dive Thailand you’ll also gain the best training Thailand has to offer. Our highly qualified and super dedicated dive instructors are second to none! 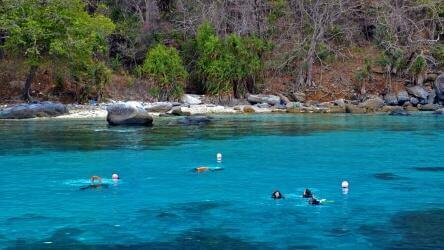 The day out in the open water diving will be at Racha Yai/Racha Noi. Offering calm conditions in protected bays with flat sandy bottoms, perfect for your first experiences in the water. After you’ve completed the course you may want to try your new found skills at the beautiful Phi Phi Island. Turtles, Sharks & schooling snappers make regular appearances on your dives. You can see more about each location by checking out the dive tour information for each location. The King Cruiser day trip tour is not suitable for open water divers in training. It is recommended for Advanced Open Water divers only. Don’t hesitate, see what all the fuss is about so you can see why your scuba diving friends can’t stop talking about their tropical diving adventures. 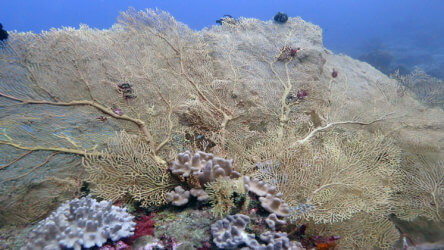 Book your course today and be diving tomorrow with Local Dive Thailand! 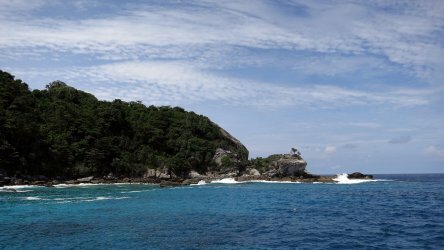 What is The Best Dive Site In Phuket?